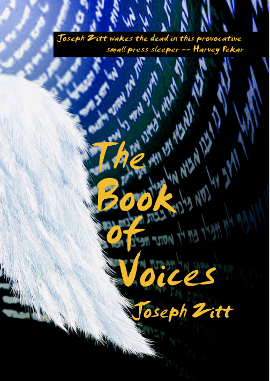 Seeing all the paths and stories of his myriad possible lives, Joseph discovers what he must do when his brothers unknowingly meet him in Egypt. Joseph’s story is an anomaly within the Book of Genesis. It’s quite long and detailed, yet adds little to the story as a whole, other than getting the children of Israel down to Egypt, to set the stage for the Exodus. James Kugel suggests, in How to Read the Bible, that the story of Joseph began as the myth of the death and resurrection of a god, then was transferred to the story of a person, then changed so that the person didn’t really die. Joseph, with his access to the dreamworld and the world of stories, has an even clearer sense than Benjamin of being a character in ever-changing stories and myths. He sees his lives running in parallel with alternate lives that he might have led, seeing events in them that he couldn’t have experienced yet remembers as clearly as those of what he experiences as his real life.He even remembers bits of the future, seeing the stammering Moses, centuries later, in Pharaoh’s court. He sees his lives converge on this moment of decision, where he is to be reunited with his brothers after they betrayed him years before. Joseph was perhaps too forthcoming in telling his brothers, decades earlier, of his grandiose dreams of power over them. Now that he has that power, he hides his identity from them, toying with them and not letting them know who he is until he has the whole family under his control. Have you kept an aspect of your identity secret from those around you? Did you later reveal it to them? Were they better off knowing or not knowing? Were you better off with their knowing or not knowing? Conversely, have you ever revealed too much of yourself to people around you? Did it seem like the right thing to do at the time? Do you wish that you hadn’t revealed it? If so, how would your life have been different?